After stroke, your doctor or neurologist probably told you which side of your brain was damaged. This is important information because the location of your stroke has a significant impact on your rehabilitation from stroke. 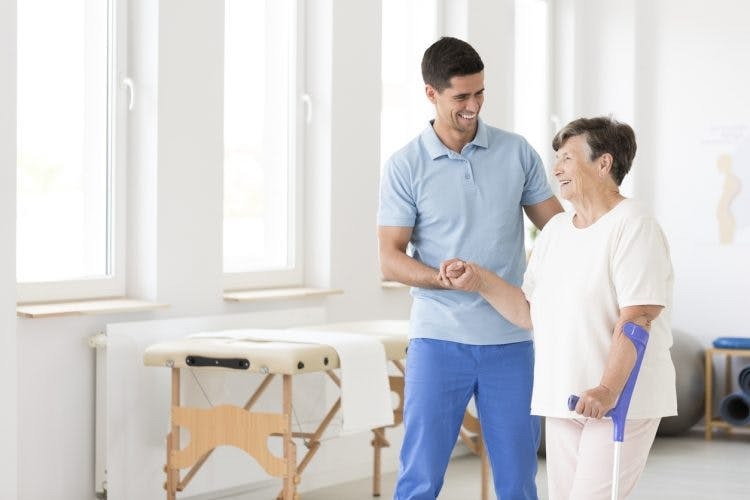 In this article, we will discuss the difference between left vs right side stroke recovery and how to overcome paralysis on each side. Then we will introduce other critical pieces of stroke education that we think you should know. Each part of the brain controls different functions. Movement-wise, your left brain controls the right side of your body and your right brain controls your left side. The condition of paralysis on one side of the body is called hemiplegia. Most patients can recover from hemiplegia with enough time and effort. Passive exercise with high repetition is the best way to overcome left side paralysis and right side paralysis after stroke. 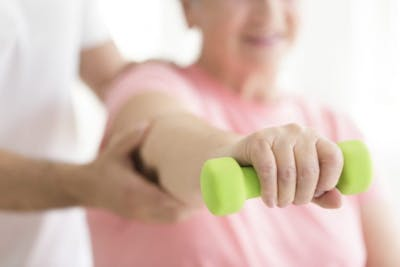 To practice passive exercises, simply use your non-affected side to assist your affected side through therapeutic stroke rehabilitation exercises. This passive movement helps activate neuroplasticity, the process of forming new neural connections in the brain. The more you repeat passive exercises, the more you strengthen the new connections in your brain. With time and effort, there is hope that passive exercise can help you recover movement after post-stroke paralysis. When stroke causes paralysis, it’s often the result of a massive stroke. Because the larger the stroke, the larger the stroke side effects. Therefore, if you have post-stroke paralysis, it’s likely that you have other stroke side effects too. So we’d like to share a little more information on how to recover from left side vs right side stroke recovery. What Else Goes into Left Side vs Right Side Stroke Recovery? You must understand what each hemisphere in the brain controls to understand left vs right side stroke recovery. 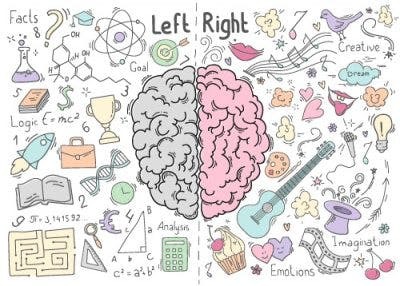 Generally speaking, your left brain controls logic and your right brain controls creativity. When a stroke damages one side of the brain, it hinders your ability to perform whatever tasks that part of the brain used to control. For example, a left-side stroke survivor may suffer from aphasia, the inability to understand or express language – a left brain task. A right-side stroke survivor may suffer from emotional lability, a disorder characterized by involuntary outbursts of emotion – a right-brained task. It’s important to understand which side of your brain was affected by stroke because it will help you identify why certain side effects are happening. With all this information, you may be wondering how long recovery will take. Well, since every stroke is different, every recovery is different. After the first few months, things really start to vary from person to person. 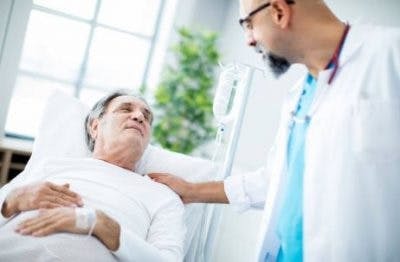 Those who had a massive stroke may continue to rehab for years. Those who had a minor stroke may rehab for only a few more dedicated months. It all depends on the size and location of your stroke and how much unwavering dedication you have to rehabilitation programs. Perhaps you already knew these things. Maybe you’re looking for more specific information about how long it takes to recover from your specific stroke. 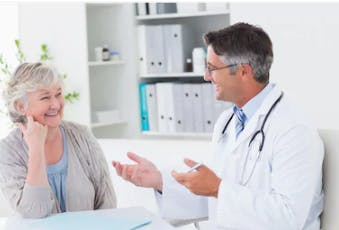 What stage of stroke recovery am I in, and how far do I have to go? How can I speed my recovery along? What mistakes have others made that I can avoid? What kind of paralysis recovery exercises should I be doing? These questions will lead to far better answers that will help you take action towards your recovery.